Cliven Bundy the welfare cowboy must've been overjoyed to find himself bumped out of the news this week. Clippers owner Donald Sterling took his place with a racist and sexist tirade caught on tape. Clippers owner Donald Sterling can't be a racist. Some of his best friends and basketball players are black! Why Is the NAACP In Bed With Racist Donald Sterling? Let's not forget that he's a sexist pig as well as a racist pig. 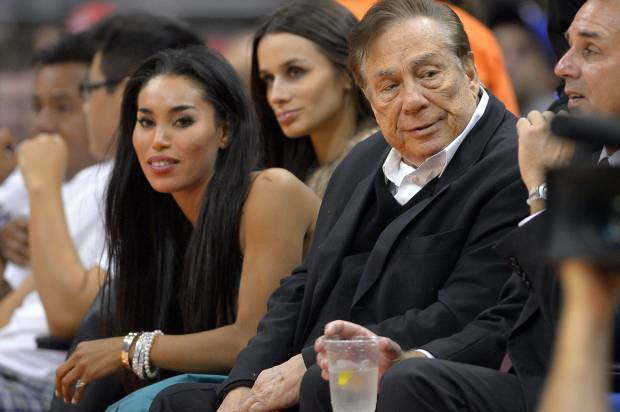 Donald Sterling’s girlfriend has magical racism powers! Maybe Stiviano should get the NAACP's award for exposing racism against blacks. For more on conservative racism, see Bundy the Conservative Racist and The Science of Conservative Racism.